Yaoundè (Agenzia Fides) – "We thank everyone for the solidarity shown during our captivity. It was no easy experience. In those difficult days our thoughts and prayers went to the Martyrs of our Congregation. For our part we experienced the warmth of your prayers and affection. At present we are at our parish in Douala and want to start negotiations for the release of our driver Jerry Berson. We are all alive. Although information referred to Jude, Placid, Abel and the driver, there were actually five of us! Fr. Yene Anaclet, the local parish priest who came to negotiate our release, was also held by the kidnappers. Now he too has been released and we are all in Douala": this was the first message issued, sent also to Fides, from the three Claretian missionaries abducted in Cameroon on 23 November and released yesterday 29 November. For its part the Claretian Congregation said "We thank God for the release of our missionary confreres abducted on 23 November . We are grateful for all the messages of solidarity, communion and prayers. May God bless us all! ": this was the message issued by the Congregation of the Missionary Sons of the Immaculate Heart of Mary Maria (Claretians), sent also to Fides, which announced the release. The Congregation is celebrating for the release of the confreres of the Independent Delegation of Cameroon. I missionaries released are: Fr Giuda Taddeo Langhe, Apostolate Prefect and director of "Pubblicaciones Claretianas del Camerun”; Fr. Placide Muntong Gweh, student Abel Fondem Ndia, and lastly also Fr.Yene Anaclet. 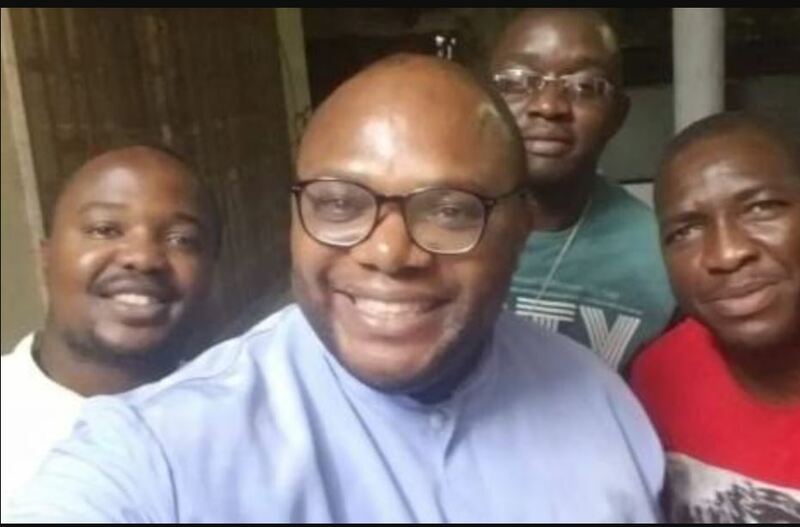 The Claretians abducted on 23 November by secessionists present in the Anglophone area of the country, were on the way to Munyenge with humanitarian aid for the people suffering because of fighting in the area. (see Fides 26/11/2018). The missionaries are now in Douala, but the driver, also taken prisoner, is still in the hands of the kidnappers.